Can’t access Telegram from your location? Worried about whether it’s as secure as it claims? A VPN for Telegram adds another layer of security to your messages. More than 200 million people around the world use Telegram regularly to send private, secure, and encrypted messages through their smartphones, tablets, or computers. 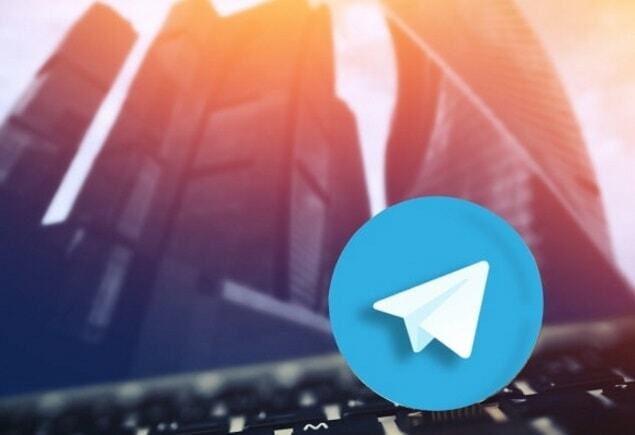 Because of its strong security credentials, some authoritarian governments have viewed Telegram to be a threat and have ordered it blocked in their countries. Fortunately, there is a way around such restrictions: you guessed it, a virtual private network, or VPN. ExpressVPN is a superb option for Telegram users, with more than 2,000 servers worldwide. It offers clients for iOS, Android, Windows, Mac, and Linux, covering the full range of operating systems that Telegram can be used with. It has strong security credentials, running on the OpenVPN security protocol and guaranteeing 99.99% uptime. NordVPN is another popular VPN for Telegram. Subscribers can use their account to run NordVPN simultaneously across up to 6 devices, which is great for people who want to sync their Telegram messages across their desktop, phone, and tablet. It offers all the tight security features that can be expected of a top VPN service provider, including a zero-logging policy. CyberGhost provides a VPN for all Telegram-compatible operating systems and devices. Users can access everything with handy one-click settings. For example, press “Surf Anonymously” to start your VPN session from the fastest server possible. Press “Choose my VPN Server” if you wish to choose your own server from the well over 1,000 servers available. 15 million users around the world trust CyberGhost for its strong and secure VPN. Avast VPN comes from the same people as Avast Antivirus, which speaks to its strong security credentials. It offers a smaller number of servers than its competitors, but most of these servers are in countries where Telegram is available (including 16 in the United States) and all are backed by its highest security. Avast allows users to access Telegram from up to 5 devices simultaneously with 1 account. HideMyAss is another VPN service owned by Avast, one of the world’s leading online security companies. It has the largest number of server locations available on the market: with 191 countries on offer, you’d still be able to access Telegram even if almost every country bans it! What is VPN for Telegram? VPNs offer users security and anonymity, providing an encrypted connection between the user’s device and the internet and concealing their real IP address. VPNs also allow you to bypass geographic restrictions by logging on from a remote server in a different location from the one where the user is physically located. This makes VPNs perfect for using Telegram in restricted countries. In Russia and want to use Telegram? Simply log on to a VPN server in any country where Telegram isn’t blocked (such as the US) and start messaging. A VPN can be used on all the same devices and operating systems that Telegram can be used, namely: Android, iOS, and Windows for smartphones and tablets; and PC, Mac, MacOS, and Linux for desktop. This makes Telegram accessible virtually anywhere—while at home, traveling, in the office, or anywhere else—and it also makes VPN for Telegram a viable option for any device or in any location. Using a VPN to unblock Telegram requires 2 steps: the first is logging on to a remote VPN server; the second is accessing Telegram. Sign up to your chosen VPN (such as the top 5 VPNs for Telegram listed below). Install the VPN provider’s client to your preferred device or devices (some VPN providers allow you to log in to as many as 6 devices with 1 account). Log on to a server in a country where Telegram isn’t blocked (i.e. anywhere aside from the authoritarian regimes listed in the section below). Once you’ve logged into your remote server, you’re free to log in to Telegram and start messaging your friends. North Korea (although let’s be honest, pretty much the entire internet is blocked in North Korea). At time of writing, Telegram was still available in Turkey, Azerbaijan and a handful of other countries that routinely block access to communications and social media services like YouTube and Facebook. The problem with the countries that tend to block access to certain internet sites is that they often do so with very little notice. Therefore, the only way to prevent a situation in which you’re suddenly blocked from Telegram is to have a VPN account ready. Is Telegram as Secure as It's Hyped up to Be? It is cloud-based, allowing you to access messages from multiple devices. Servers are spread worldwide for security and speed. Messages are safe from hacker attacks. Users can self-destruct their messages with a timer. Users can send personal and business secrets in a secret chat mode. Source code and protocol (MTProto) is open for review by everyone, making it more transparent than WhatsApp. Despite the ongoing debate over Telegram’s and WhatsApp’s security credentials, the truth is that no messaging app is 100% secure. Various analyses have shown that Telegram is not immune to security vulnerabilities. Moreover, some users may not be aware that certain Telegram settings aren’t switched on automatically; for example, users must go into the settings and enable secret chat if they wish to add extra encryption to sensitive messages. Whether you’re in a country where Telegram is blocked or a country where Telegram is free and openly available, a VPN provides an added layer of security: it conceals your real IP address, allowing you to bypass any geolocation restrictions and message with anonymity.